The population is a friendly mix of mainland settlers and local ethnic groups. This intriguing archipelago is composed of approximately 572 islands and is located southeast off the Indian mainland – close to Myanmar and Indonesia. The Nicobar Islands are however strictly prohibited for tourists. The Andaman & Nicobar Islands boast about being a year-round tourist destination where travellers can visit during any time of the year without the weather hampering their plans too much. Andaman Nicobar Islands remain open for tourists all year round however during the monsoons high tides, continuous rains and strong winds are quite frequent. The best time to visit the islands is from November through to May when the weather is nicer and the oceans are calmer. Visiting Andaman & Nicobar Islands in the summer: This is the perfect climate in which to scuba-dive, snorkel, paraglide and trek. Also, because the weather is not too hot and humid, it is a pleasant time to travel a bit to visit the neighbouring Havelock, Clique and Smith and Ross islands. Visiting Andaman & Nicobar Islands in the winter: The weather is not too chilly. Tourists can participate in the regular beach activities such as snorkeling and scuba-diving, bearing in mind the ocean waters might be just a little cooler than in the summer months. Visiting Andaman & Nicobar Islands in Monsoon: This is perhaps not the most suitable time to visit the islands. However, for those wishing to take the risk anyway, bear in mind that most of the water sports and beach activities might be inaccessible this time of the year. Since most tourists do not opt to travel to the Andamans in the monsoon, the prices all over the island reduce and there are some brilliant discounts – not to mention less crowded beaches! 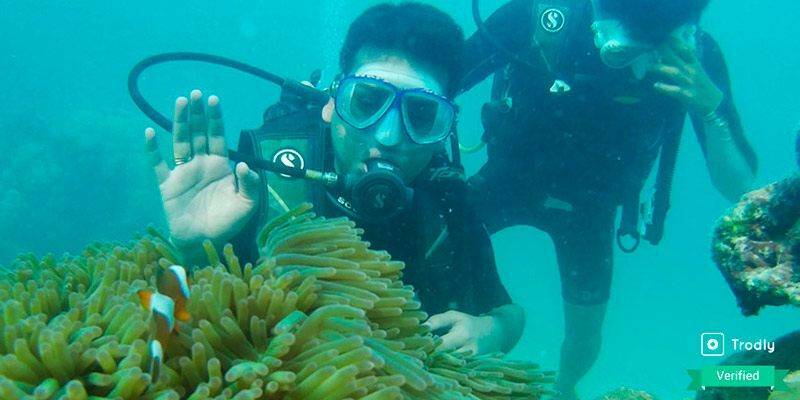 October to mid May sees the best weather, and usually the best diving conditions in Andaman. The days are mostly sunny at this time of year, and the sea is oftentimes still enough to reflect the clouds above. How To Travel to Andaman & Nicobar Islands? Commuting to the islands is not that big of a hassle, By virtue of them being islands, The Andamans are accessible only by air and by sea. 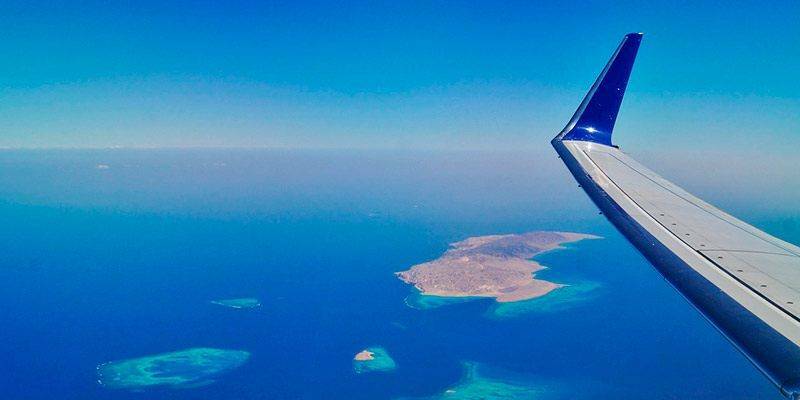 There are many flights that go daily from India’s major cities to the island’s capital, Port Blair. 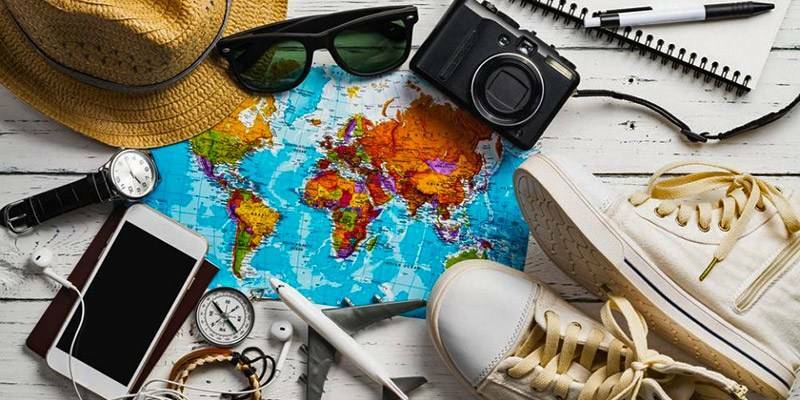 For the more adventurous tourists, there are a few options for sea travel, too, although they tend to be a little more expensive than budget airlines and a lot longer journeys. There are no international flights to the only airport – Veer Savarkar International Airport in Port Blair. Planes frequently fly in from all over India with major airlines (Jet Airways, Indigo, Spicejet, Air India, etc). Travelling to the Andaman Nicobar islands by sea is an experience for the true traveller. The journey lasts from three to five days (depending on the port from which the boat has left) with minimal luxuries, if any. The journey may get extended due to unfavourable weather conditions. There are typically five ships that go to the Andaman Nicobar Islands. They are M.V Nicobar, M.V. Nancowry, M.V. Akbar, V. Harshavardana and M.V Swaraj Dweep. These ships each leave from one of the three major port cities of India: Kolkata, Chennai and Vishakapatnam. MV Harshavardan offers ferry services from both Chennai and Kolkata. The booking process can be rather tedious as there is no online process – tickets can only be booked from the port itself (Chennai, Kolkata, and Vishakhapatnam or get a tour operator or travel organization to arrange for getting reservations on these ships. Travelling by sea is a great idea for those looking for adventure – especially if in a large group – and there’s no serious time crunch or any medical condition that may be aggravated (e.g. sea sickness). Note: Non-resident Indians or foreigners/foreign passport holders need to get a Protected Area Permit (PAP) on arrival at Port Blair airport. This permit is valid for up to 30 days at the Islands. There is no additional charge for this permit. The Andaman Restricted Area Permit is required by all (Indians and foreigners). 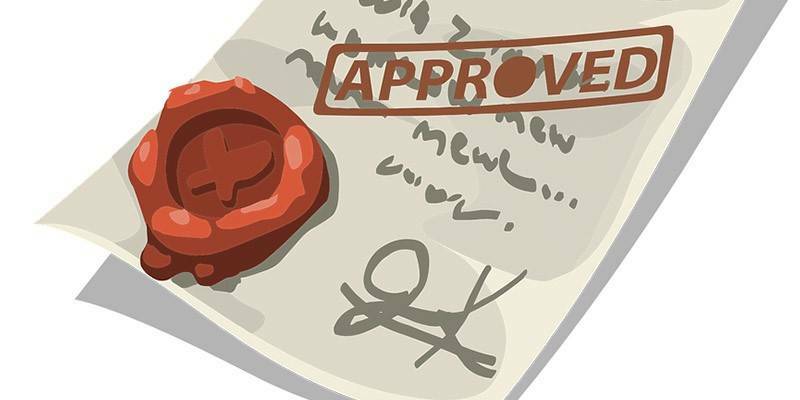 Indians need a photo ID (government approved) – PAN card, Adhaar card, or driving license will suffice – and a form that’s usually filled by travel agents on the traveller’s behalf. This permit can be obtained on arrival at Port Blair or Hadoo Jetty. It’s a 30 day permit that permits staying at Port Blair, South and Middle Andaman (excluding tribal areas), North Andaman (Diglipur), Long Island, North Passage, Little Andaman (excluding tribal areas), and Havelock and Neil Islands. The permit is also required for day visits to Jolly Buoy, Cinque Islands, Red Skin, Rutland Islands and other sialnds. It is possible to obtain an extension on the permit but there is a long process and it’s not routine. For those without Indian passports, a valid Indian visa is a requirement. This visa must not be stamped with “Entry to restricted areas NOT permitted”. The permit is extremely important. It must be carried everywhere as travelling will not be allowed without it. It’s also required to leave the Andamans. For other areas – such as Mahatma Gandhi Marine National Park, and Ross and Smith Islands near Diglipur – permits cost around INR 50 for Indian nationals and INR 500 for foreigners. Discounts for Student are available. Whenever travelling to a location, it’s important to be aware of the local customs, norms, and rules – and obey them. Traffic Rules – While driving in the Andamans, stay to the left and follow all traffic rules. If a 2-wheeler is being ridden, ensure that a helmet is worn at all times. Local police are strict and fines will be imposed. Plastic Free Zones – The islands are beautiful – picture perfect, and efforts are being taken to ensure it stays that way. Littering is absolutely not tolerated with strict and heavy fines. 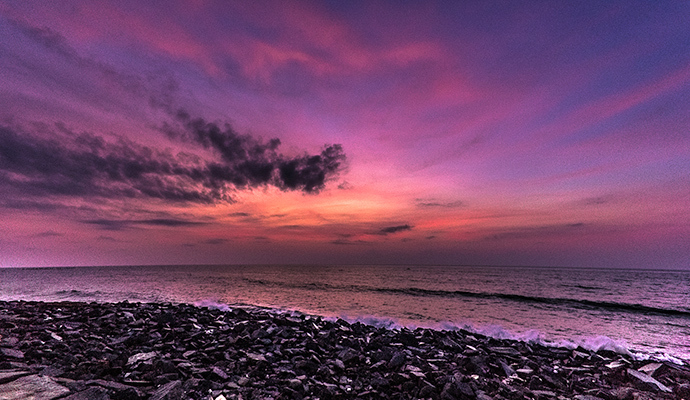 Most places in Andamans are a strict no-plastic zone. Do not carry any plastic bags. Smoking in public places is a punishable offence. It is also against the law to camp, stay overnight, and light bonfires on beaches or surrounding forest areas. Collecting Corals – In an effort to preserve the beauty of the Andaman Nicobar islands and their way of life, collecting shells or corals (live or dead) are prohibited. Local Tribes in A&N – When interacting with local tribes, it’s important to be mindful about their culture. It is inappropriate to touch them or their belongings (unless permission has been granted by them). Similarly, pictures and videos of them should not be taken unless the local tribes have given their consent. Safety – The islands promote and encourage interaction with nature. This, however, means that sometimes unwanted visitors may come uninvited. Crocodiles are a way of life in many parts of the Andamans – something to be aware and cautious of. Do not wander into unknown areas (especially denser forested regions) without a knowledgeable guide. There are plenty of options to get around the Andamans as a tourist. Motorbikes are available for rental on a daily basis with motorcycles approximately INR 300-400 a day. Tourists can also use public transport (buses) to get around too – as all roads lead to Port Blair. To get to the other islands, boats ferry travellers to and fro. However, expect hot waits, slow service, and queue-jumping to get to the ticket window. Passport, or other photo ID proof, and permit should be kept handy when buying a ferry ticket. A beautiful remnant from our colonial past, Cellular Jail National Memorial is more commonly referred to as Kaala Paani, is a former British prison. There is a small entree fee, but that should not pose too much of a problem. There is a stunning light and sound show that happens here every evening from 5:30pm onwards! In Port Blair, the Samudrika Naval Marine Museum (also known as Fisheries Museum) has many installations and informative coverage of the islands ecosystem, marine life, tribal communities, and plants. Including an aquarium and the skeleton of a blue whale, it’s run by the Indian Navy. Mt. Harriet National Park is home to a wide array of exotic plants. Trekking through the park’s dense forests is an experience of a lifetime although elephant safaris are perhaps the best way to see and experience the sanctuary at its finest. Another historic site in Port Blair, the Chatham Saw Mill is easily accessible via road. Built by the British in 1883, it has since become the largest saw mill in Asia! It is still operational. A trip to this site will undoubtedly provide insight into the economy and the history of the Andaman & Nicobar Islands. Established in 1983, Mahatma Gandhi Marine National Park contains a spectacular coral habitat complete with exotic marine plants and animals and a wide range of tropical, local, and migratory birds. The sanctuary was set up to protect the island’s rich wildlife and is itself situated on a stretch of silvery, sandy beach. Tourists can also opt to participate in the national park’s many water-based recreational activities. 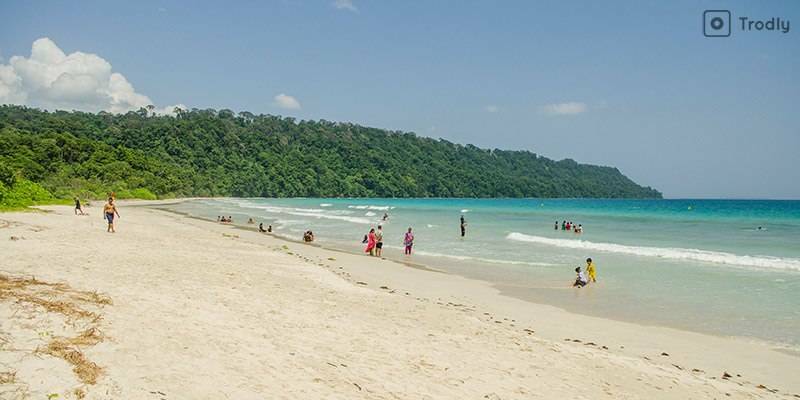 Very close to Port Blair, the Corbyn’s Cove Beach is the most frequently visited beach in Andaman & Nicobar, popular amongst both, the tourists and the locals! Flaunting and breath-taking natural beauty, this beach is the perfect place to enjoy some unique water-based activities like glass bottom cruises and jet-skiing. The Anthropological Musuem in Port Blair isperfect destination for tourists who are keen to learn more about the local and indigenous tribal communities of this island, this museum houses some very interesting artefacts. There are eye-catching models, replicas and paintings exhibiting in detail the Andamani and Nicobari tribal life. The museum has got displays of various articles like handicrafts, tools, arts and crafts, photographs and clothing that date back to the era of prince of these native tribes. It takes approximately an hour to do a complete tour of the museum. The most famous temple on the Andaman & Nicobar Islands, this temple is a reminiscent of ancient Dravidian architecture.Due to its captivating and alluring architecture, it is a tourist hotspot. 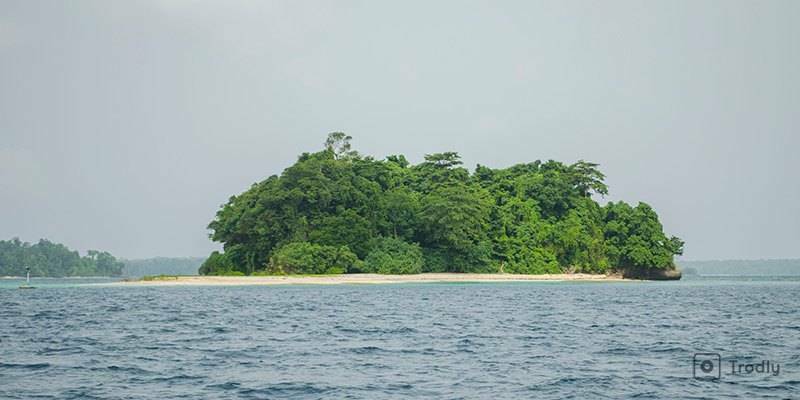 Known as the Bird Island, Chidiya Tapu is 25km from Port Blair. It has a small village with lush green forests and mangroves – home to innumerable species of birds. It also has picnic spots that make for the perfect outing. The sunset at Chidiya Tapu is unlike that of any other and comes highly recommended. A postcard-worthy island, Jolly Buoy is just off the coast of Port Blair and accessible by boat from Wandoor beach dock (by glass-bottom boat). The white sand is comfortingly warm and the crystal waters wave invitingly. It’s a part of the Mahatma Gandhi National Park and is therefore protected well – allowing the native species to thrive without much human interference – and making the surroundings even more beautiful. It’s open only from May to November. Red Skin Island derives its name from the reddish looking sea water due to the abundance of red corals that line the shore of the island. It is a part of the Mahatma Gandhi National Park and just like Jolly Buoy island it is protected well. Since the human foot isn’t allowed to trample its life the beauty is much more lifelike. This barely inhabited island is open only from December to April. 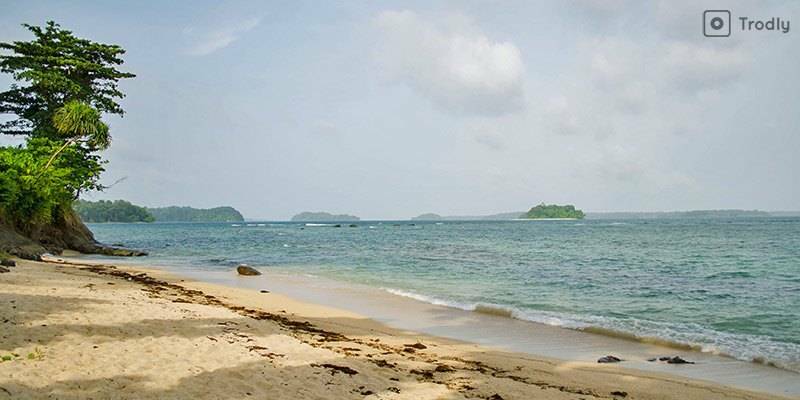 Only 25km from Port Blair, Wandoor Beach is vast and overlooks Jolly Buoy Island. The sand is bright and clean – perfect for lounging – and the water is famous for its corals. Boats to Jolly Buoy island leave from Wandoor Beach (by 9am) and back (3pm). Little shacks for food and refreshments are dotted all over the beach – leaving no tourists wanting anything else while watching the stunning sunset. Truly a remarkable stretch of white, sandy beach next to the bright, emerald green sea, the Elephant Beach is a twenty minute drive away from the Havelock Island docks. The beach is home to a magnificent coral reef, only a meter deep underwater- the perfect place to snorkel and get close with the island’s marine life. At Havelock Island – northwest of Radhanagar – lies a picture-perfect lagoon. This is a gem of sheltered sand and crystalline water. It’s more than tempting to dive straight in to the mirror-like surface of the lagoon but swimming is strictly prohibited during dusk and dawn. It’s also advised to pay attention to the warnings of crocodiles present in the area. Crowned as “Asia’s Best Beach,” by TIMES magazine, Radhanagar Beach , a stretch of warm, white, sandy beach is set against the backdrop of majestic, turquoise blue waters and is the perfect place in Andaman from where to watch the glorious sunset. Another remnant from our colonial past, the Ross Island was fondly called the ‘Paris of the East’ by the British. Years of war and turmoil have destroyed much of the tropical beauty on this island, but it still houses some wrecked machine gun nests and some derelict churches and mansions built during the colonial era. Named after the famed British soldier, James George Smith Neil, this island is less crowded than Havelock Island and is the perfect spot for tourists looking to relax in a quiet environment. Although the beach remains deserted most of the time, the bright, blue sea, the magical sunset and the warm sands are as enchanting as ever! Little Andaman Island is the fourth largest island in Andaman and Nicobar. There are daily packaged tours that take visitors from Port Blair to the Little Andaman Island. The island is covered in rainforests and if visitors are lucky, they may even spot some marine turtles out on the beach! Waterfalls dot the island here and there, adding to the island’s beauty. Little Andaman lighthouse makes for a worthwhile excursion. 200 spiral steps lead to magnificent views over the coastline and forest. A motorcycle is the easiest way to get to the lighthouse – although a bicycle or an auto-rickshaw ride followed by an hour long walk down a deserted beach is an equally enticing option. 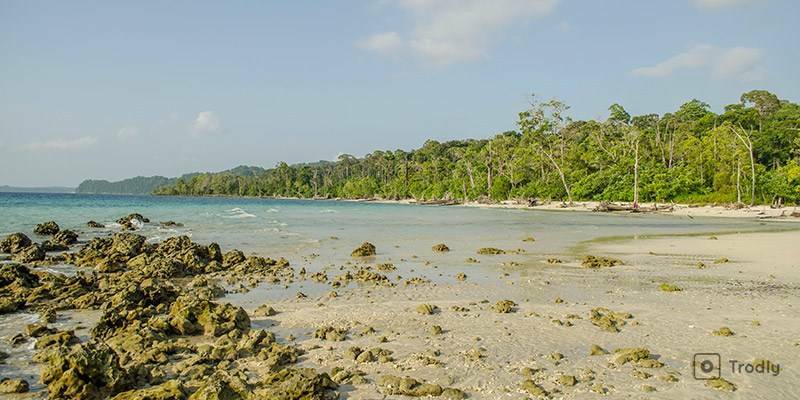 Baratang Islands is 100 Kms by road from Port Blair – between south and middle Andaman. 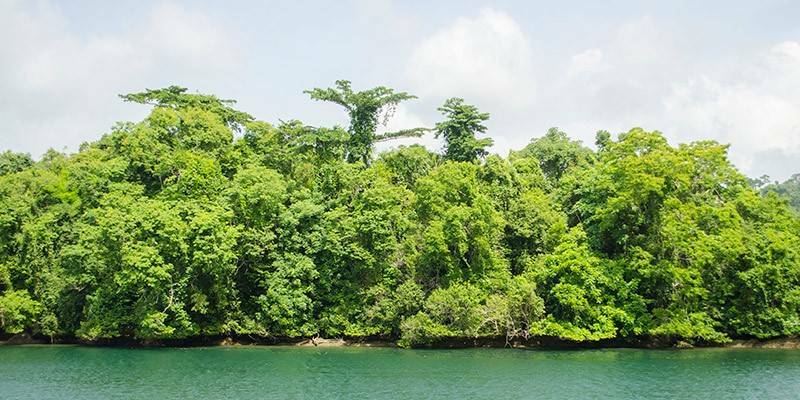 A visit to the Baratang Island brings forth the tropical side of the Andaman Nicobar Islands. Mangroves, birds, caves, trekking, and local tribes. Exploring areas like the Limestone caves does require the permission of the Forest Department at Baratang. This place is not easily accessible for regular tourists. Visitors who wish to come here need to get a special permit from the Indian government. This reserve is home to the indigenous tribal communities of the Andaman and Nicobar islands- the Nicobarese and the Shompen people. Ray Hill is the perfect destination for those who wish to escape the beach and the sea. It is a newly developed eco-tourism hotspot on the island, complete with eco-guest houses where tourists can stay the night. Located in Andaman’s wilderness, guests can go on elephant safaris, trek or do rock climbing here. 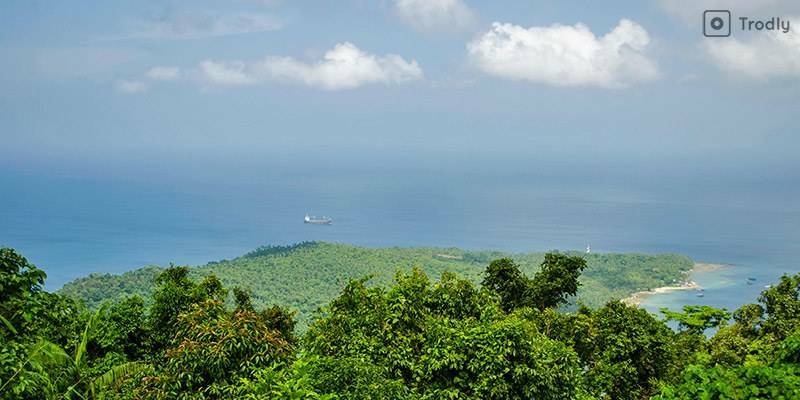 At a mighty 732m above sea level, Saddle Peak is the highest point of the Andaman Islands. Taking approximately seven hours to trek to, the trail is well marked and passes through subtropical forests with mammoth trees. An easy trek, Saddle Peak offers incredible views of the archipelago. A permit is required to visit Saddle Peak and it is advised that plenty of water is carried. This Island is home to the indigenous Nicobari tribes and migrant Tamilian communities. This is a must-see destination for tourists who are interested in learning more about the lifestyle of these indigenous tribes and getting to talk to some of the local island communities. The islands offer a host of different recreational activities, including scuba-diving, snorkelling, and kayaking. While spending a nice, long evening by the beach, indulging in some of the island’s most delectable cuisines, is the perfect way to spend a day here, the more energetic tourists should definitely try out some of the island’s adventure activities. Here is a list of ten of the most popular activities in the Andaman and Nicobar islands. One of the most recent developments in the water-based activities department on these islands is underwater sea-walking! Visitors don on protective gear including oxygen masks, and are then led 7 metres deep underwater, where they can enjoy a nice, leisurely stroll on the seabed. Visitors witness the colourful corals, captivating flora and innumerable other fascinating marine life on this underwater sea walk! Havelock Island, like many other spots in the Andaman Nicobar Islands, is quickly becoming a popular kayaking destination. November and December are the perfect months to grab paddles and a kayak and head out to the lush mangroves and the still backwaters surrounding the islands. It’s the perfect way for non-swimmers to enjoy what the waters have to offer. Mayabunder in North Andaman is another great place for Kayaking. This nice, long three hour kayaking experience, on calm, serene waters, will take tourists past lush green mangrove forests. Birds chirp overhead as kayakers enjoy the tranquility of this tropical forest. No trip to the Andaman and Nicobar islands is complete without a scuba-diving trip. Although almost all islands in Andaman offer Scuba Diving facilities, nothing beats the vibrant marine life found on Havelock Island. Therefore, tourists looking for the best scuba-diving experience must venture out to Havelock Island for a scuba-diving experience of a lifetime. The Andaman Islands have an abundance of hills with dense tropical rainforests, clubbed with rare wildlife and endemic plants. This proves perfect for a trekker looking for a challenge, breathtaking surroundings, and an experience. Treks can be a few hours or a few days long. November to April is the best time for hiking. The two most popular hikes are Mount Harriet – Madhuban trek and the Diglipur – Saddle Peak trek. Yet another water-based activity that visitors should not miss out on is snorkeling in either Radhanagar or snorkeling at Elephant Beach – the two most popular destinations for snorkelers. The waters are crystal clear and the corals appear as vibrant as ever underwater. Snorkelling is perhaps the easiest and most fun way to see and experience the fascinating marine life in the Bay of Bengal. 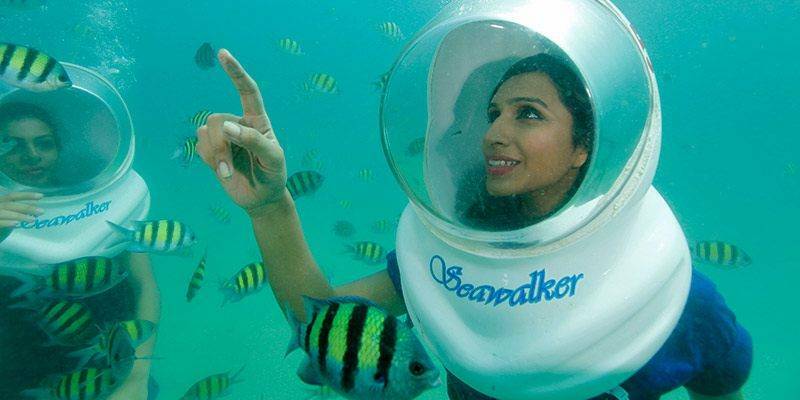 For the less adventurous travellers, there is a way for you to enjoy the underwater world, too! Quite a popular activity on Dolphin Beach on Havelock Island, this activity lets visitors sit on a boat with a transparent bottom, so that visitors can catch a glimpse of the marine life through the floor of the boat, as they sail through the crystal clear waters. A site for world-class sport fishing and angling, the Andamans are a popular spot for fishing enthusiasts. Examples of fish are Black Marlin, Yellow fin Tuna, Dogtooth Tuna, Blue Marlin, Sailfish, and Dorado. Impressively, the fishing community’s firm catch-and-release policy works and helps to ensure that future generations will have the opportunity to test themselves against the magnificent fishes. One of the most remarkable experiences here is shopping for interesting island souvenirs. Most of the marketplaces are right out on the beach, selling alluring coastal souvenirs like pearl jewellery, handicrafts, home decor, or even clothes, made and adorned entirely out of the island’s sparkling seashells. Aberdeen Bazaar is the island’s busiest marketplace! This cruise is definitely for those travellers who want to travel in luxury and style. A ninety minute cruise that takes passengers from Port Blair to Havelock and Neil Islands, twice a day, daily, this boat ride is equipped with modern-day, sate-of-the-art facilities. Located in Wandoor, just a 20 minute drive from Port Blair, this is an offbeat activity, perfect for the less adventurous tourists. The guided tour here will take visitors past the rubber plantations, as well as the nearby spice, coconut and betel nut plantations and is expected to last not more than thirty minutes. There are a couple of spots for wildlife sightings and in some specific points tourists can even opt for an elephant ride through the broad, canopied forests. Bird watching in the Andamans provides an experience like to other as the islands are home to over 270 species – each as interesting and beautiful as the next – with a lot of them being endemic to the area. The wetlands of Port Blair provide a great spot to bird watch, as does Chidiya Tapu (“Bird Island”). This activity is perfect for both ornithologists and simple nature lovers. The famous “Semi Submarine” is a boat with a 100-person capacity underwater cabin cordoned off with huge glass windows that are strategically placed at 45⁰ angles for the optimum view. The entire safari lasts approximately two hours and allows travelers to get intimate with what lies below that shimmering blue water’s surface without getting wet! Carrying passengers (maximum 9) from Port Blair to Havelock and back, the first ever commercial sea plane services in India at the Andaman Nicobar Islands operates. This one-of-a-kind experience offers brilliant aerial views of Cellular Jail, Ross Island, North Bay Island, and Mount Harriet. This 25 minute journey is perfect for thrill-seekers looking to do something beyond the average. Getting booking done for this is not easy however specially for tourists as locals tribals, islanders and government officials get preference on flights. Andaman and Nicobar is one of the best places in India to have mouth-watering, delectable seafood cuisines. While there are restaurants in all of the islands, the most popular eating joints are located in the capital city of Port Blair and on Havelock Island. Most of the restaurants on these islands serve a variety of continental, Chinese and Indian cuisines, although a taste of the local flavour is a must for anyone visiting this island. Visitors must try some of the seafood in these restaurants – curried prawns and grilled lobsters are the best-accompanied by fresh, tropical coconut water. During winters, barbecue parties or grilling sessions by the beach are quite common. There are innumerable dhabbhas serving cheap, yet authentic island food. However, this list compiles a set of five restaurants in Andaman and Nicobar that are slightly on the higher end, serving the most exotic local and international cuisines. There is also the option of home delivery at most places – with websites facilitating the process to make it as convenient as possible. One such site that features all the most famous restaurants and secured online payment is www.andamanfoods.com – also available as a mobile app. This restaurant serves an array of delectable Italian, Chinese and Indian cuisines, the most popular dishes being their thin crust pizzas and soft, sweet chocolate mousse. It is right on the beach, so visitors can enjoy the cool sea breeze as they sit and sip their iced drinks. Yet another restaurant serving Chinese and Indian cuisines, this cafe has quite an ornately decorated interior with a palm matte roof. It is located right on the beach and is the perfect place to rest after spending a long, hot day out on the beach. Candlelit dinners by the beach here, is the perfect way to spend the evening on Havelock Island. One of the most popular eating joints on the Andaman and Nicobar Islands, this restaurant serves an array of Indian and Asian cuisines. They are infamous for their mouth-watering sea food items, especially their Tandoori fish. For non-vegetarians especially, this restaurant provides the best dining experience! This restaurant is unique in that it is one of the only places in Andaman and Nicobar that has gluten-free and vegan menu items, apart from the standard, vegetarian and non-vegetarian Indian and Chinese cuisines. The restaurant is also open for brunch hours on certain days so tourists can avail of that too, if they are looking for fancy dining options. Perhaps one of the best places to try out some of the local delicacies, this restaurant has extremely budget prices, for very delicious food. Serving seafood, including mouth-watering fish items, like the tuna steak and fish fry, this is definitely a must for any one visiting Havelock Island. Keeping in mind the climate of Andaman Islands, there are certain things one must carry to help ensure that the elements don’t hamper the experience. Due to the hot and humid weather, light and thin cotton clothes are strongly suggested with raincoats or umbrella for the rains (especially if you’re travelling in the monsoon season). Recommended footwear is rubber flip-flops and other comfortable beachwear. If trekking is going to occur, appropriate footwear must be carried. Beach mats and hammocks can prove to be extremely useful for days spent lounging in the warm sand. Safety and health is, of course, a priority. The sun can get harsh sun block, sunglasses and sun hats prove essential. All other medication (especially motion sickness medication, for boat rides) also must be stocked. Indian rupees are used all over the Andamans. It’s suggested to stock up on rupees and get any currency exchanged in India before heading over to the islands to prevent any inconveniences there. The Andaman Islands have, like India, standard 220V with sockets that are three round pins. If any appliances that are being carried require adapters, do carry them. If you are planning to snorkel, you carry your own gear with you. Although most snorkelling organizers do provide their own gear, many tourists prefer to go snorkelling independently and for that, having your own gear is helpful. Carry a swimsuit, hat, sunglasses and sunscreen, especially if you are planning to travel during the summer. The tropical climate and heat can cause headaches sometimes, so it is best to be protected while on the beach or while trekking. For the more adventurous travellers who wish to reach these islands by sea, make sure that you have a first aid kit equipped with medicines for seasickness, which is quite common on such trips. Ask your medical practitioner for tablets that can help with seasickness. If you are planning to trek and camp, make sure you carry with you a mosquito repellent, or a mosquito net, since the islands’ tropical climate is the perfect breeding ground for mosquitoes. If you are planning to visit the Biosphere Reserve, make sure you have got the permit from the Indian government beforehand. Organizers do not entertain such requests on arrival at the island. If you are an NRI, or a foreign passport holder, make sure you have all your documents ready to be issued a Protected Area Permit (PAP). If you stay longer than your permit allows, you will be deported! It will take travellers at least four to five days to experience the islands fully, so plan your trip accordingly. You do not want to come back home feeling like you did not get your money’s worth of adventure! Visiting the islands during the monsoons is not recommended! The months of November and December are the best times to visit the islands. Note: The permit is extremely important. It must be carried everywhere as travelling will not be allowed without it. It’s also required to leave the Andaman. On the whole, The Andaman Islands offer a platter full of various experiences – perfect for every kind of traveller out there. It’s a place everyone should visit at least once, and ensure they get the most of what the islands have to offer. We guarantee that Andaman and Nicobar Islands will give travellers an once-in-a-lifetime holidaying experience with our ultimate guide!